For years, Craigslist advertising has served as a fantastically free site for Internet Marketers who post advertisements on behalf of small business clients that we represent. Too good to be true, right? Good things rarely last. Recently, Craigslist implemented universal changes which completely remove the ability to post professional-looking html-generated image ads that live link to a website. So, gone is a way to post beautifully designed flyer templates, rich in graphic content with hyperlinks. They no longer work on Craigslist! Those of us who frequently post on Craigslist were NEVER notified of the policy change via an email or mass media campaign. Nope. Nada. Not. Instead, we found out by surprise. The roll out appeared gradual nationwide. But here in Omaha, Marketers logging into their accounts to renew previously posted image ads uploaded last year were met with empty content in 2014, or an error “0” when trying to re-publish the HTML-coded ad. Yes, the headers were there, but the image content was gone. What the heck!? “I was confused at first. Some of my client’s professionally designed graphic ads were empty. I thought it was an error. Was it frustrating? Yes! A lot of work down the drain. It was not until I Googled “Craigslist HTML Changes” that I became aware of Craigslist’s new policy which bars HTML code ads. “Cheap ads HAD generated great leads and the hyperlinks WERE great for SEO. Now, the newly mandated plain text ads look boring and amateurish and there’s zero SEO advantage to small business who must compete with the big budget corporations for a piece of the pie,” notes Susan Stern, an internet marketing Omaha consultant. Why Did Craigslist Change Ad Policy? It can be assumed that Craigslist wants to even the playing field. Many people don’t have the economic resources or knowledge to create custom HTML code to post professionally looking Craigslist ads. Internet marketers who write custom code have an advantage over small sellers. So what, we say! By removing the image tags from posts, Craigslist appears to be standardizing ads so no company has an upper hand over another. “This is a ridiculous policy change especially for small business on a limited budget. Plus, all the ads now look the same. There is little way to stand out from the rest. In actuality, Craigslist is hurting small business from Maine to California,” notes Stern. Do you like the change? Take Poll NOW! What Can You Post On Craigslist NOW? Instead of being able to create eye-popping HTML-generated ads, internet marketers are now FORCED to write plain text advertising just like the layman would. Sure, you can still upload photos and images, but you can NOT link them to any live website. You have to type in plain text, period. If you want to display a URL, it does NOT work. Craig’s list removed outbound links, completely. Please note IMG, FONT, TABLE, DIV, and SPAN tags are no longer supported… Please use CL image upload for images. The no-custom-HTML-code-policy means you may no longer use clickable Image Ads to drive traffic to your website, reducing the options for external link building and SEO (Search Engine Optimization: the process of building and maintaining a website’s Google rank). The best advice now is for internet marketers to stop focusing on what’s lost, and start thinking positive. Chin up. Search for new opportunities to generate new business. We should let the Craigslist policy change serve as a warning. Look at the big picture. Google could change its algorithms at any time. Where would your business be then? “Marketers should encourage their small and medium-size businesses to think outside the box and use a marketing mix. It’s smart to diversify resources to find different ways to generate new business leads online as well as the old-fashioned way, like fostering relationships in person,” emphasizes Susan Stern, an Internet Marketing Omaha company owner. 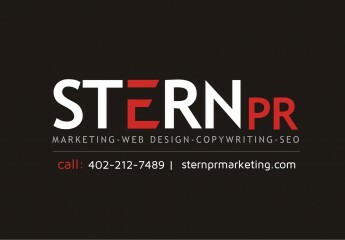 Still, we here at Stern PR Marketing™ are not happy with Craigslist killing off the ability to post enhanced ads. It’s bad for small business on a budget. We hope they re-think their policy. Article originally published February 21, 2014.